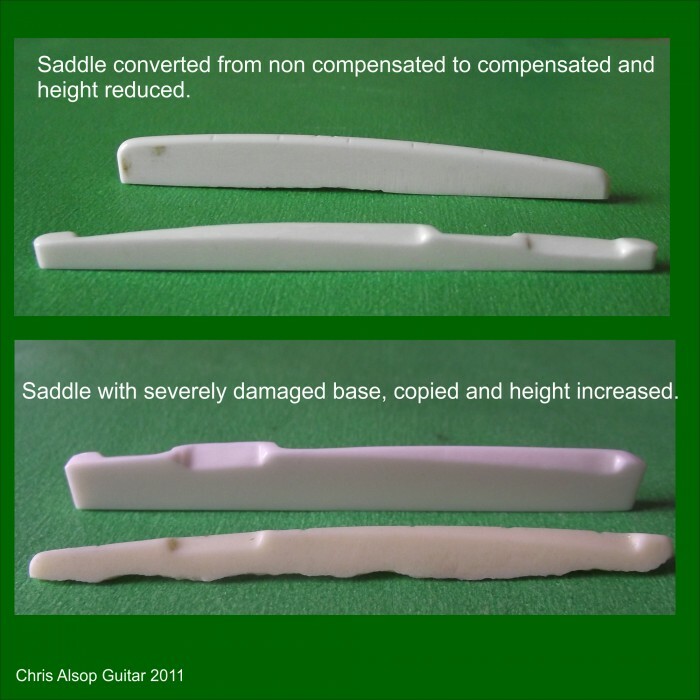 You send us your saddle - we model it, discuss any changes with you, copy it and send you your original and the copy back - simple ! 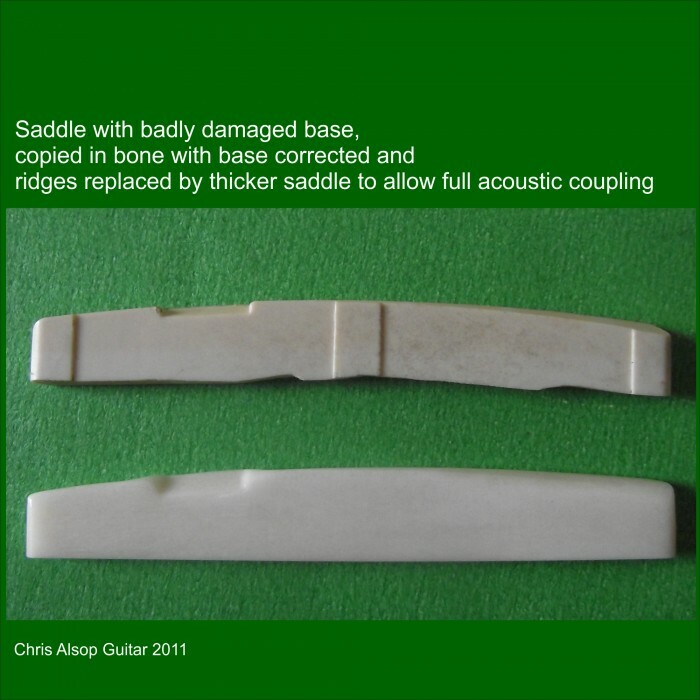 Please send us a photo of your saddle before sending it so we can confirm that this is the appropriate service for your saddle. 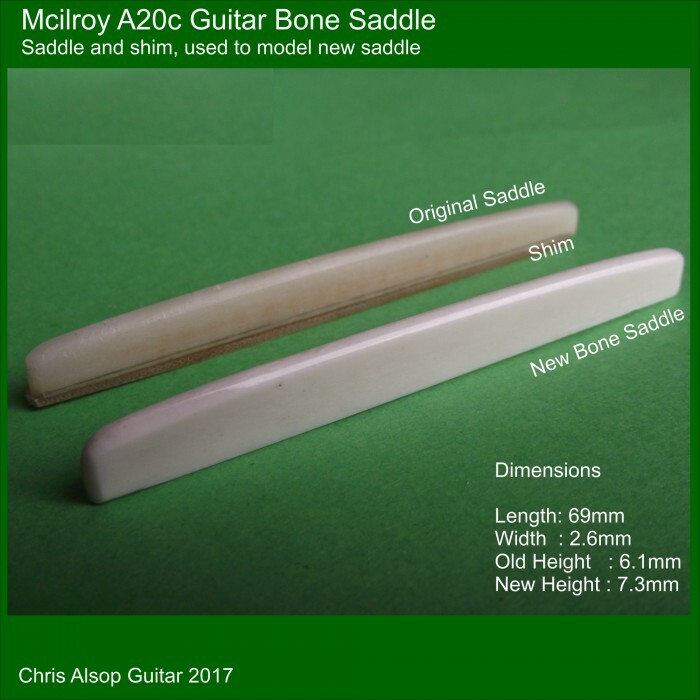 We recommend that we leave the saddle a little wider than yours so you can sand it to fit it (only about 0.1mm bigger to avoid too much sanding). 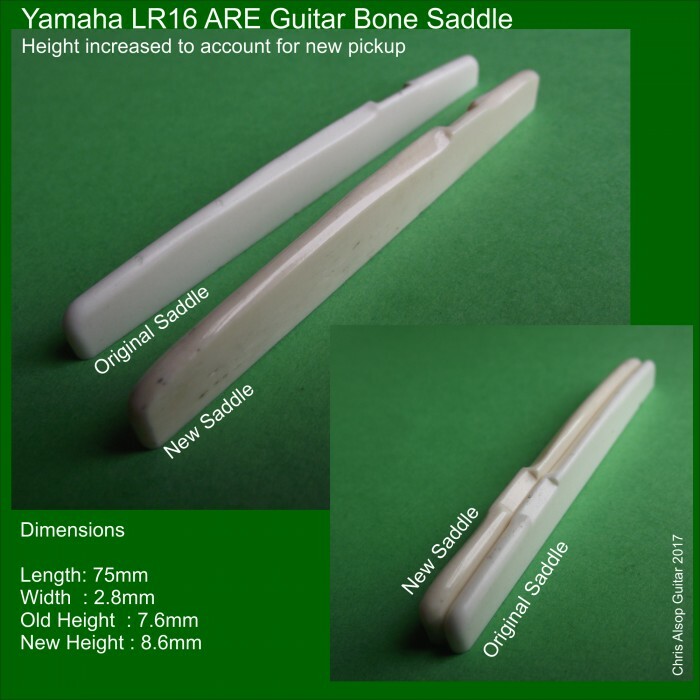 We can, on your request, leave the saddle a little higher than the existing one so you can adjust the action if you want to - you advise. 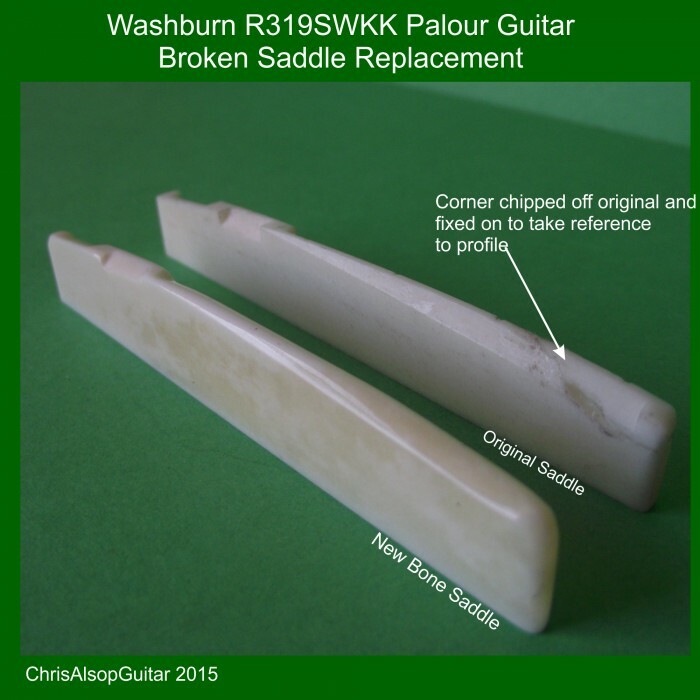 We can copy the shape of the string contact points exactly so you preserve the exact intonation. 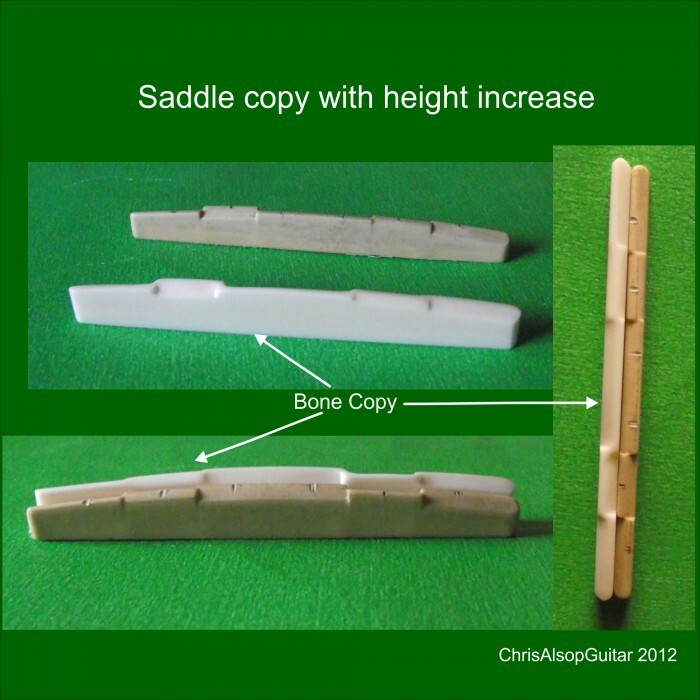 This saddle is made from high density Ox bone and is for use on steel strung acoustic guitars or classical guitar. 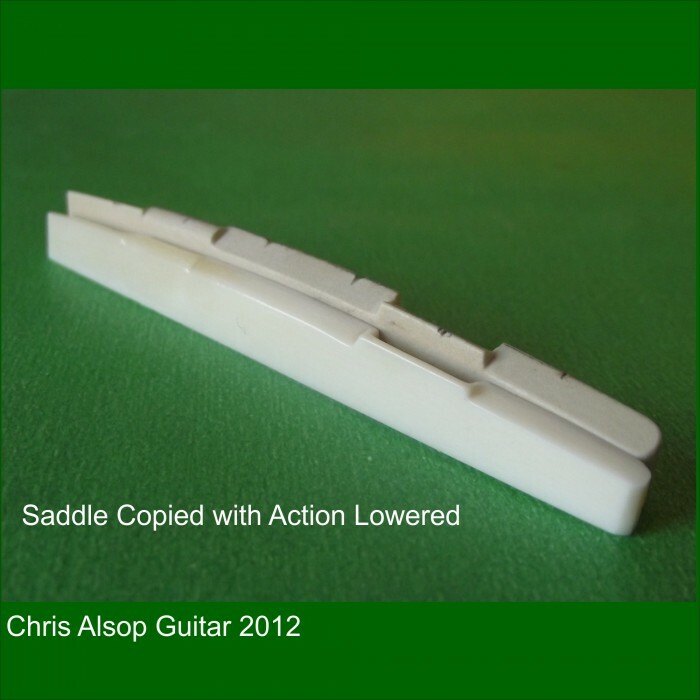 Any shape is possible for us to copy - we are limited only by the dimensions of the blanks we use which are bigger than most saddles. We return new and original components by signed for post. 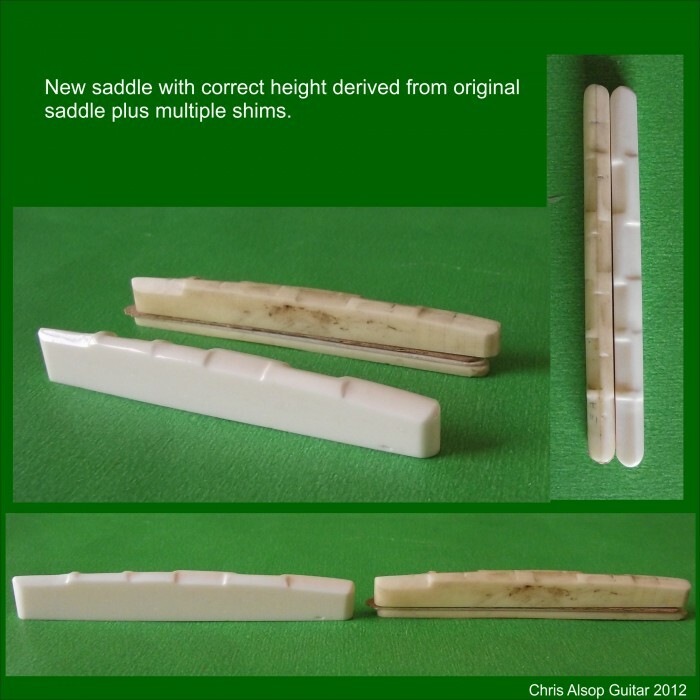 When sending your saddle to us, please make sure it as some padding asound it (preferably a small jiffy bag). We will let you know as soon as it arrives.